Dreams come in all shapes and sizes. Some rooted in reality, some more ambitious and ambiguous. Some dreams are life long and others come later in life. But a common thread among dreams are the people who believe in them. Who really believe in them. They share a special kind of sparkle. A spirit that is truly entrepreneurial. An entrepreneur is someone who organizes and operates a business or businesses, taking on greater than normal financial risks in order to do so. Sounds a lot like farming. Right? What started out as a fairly traditional farming career for Lori Smith and Martin Littkemann, morphed into a special and unique idea the couple decided to take on back in 2008. 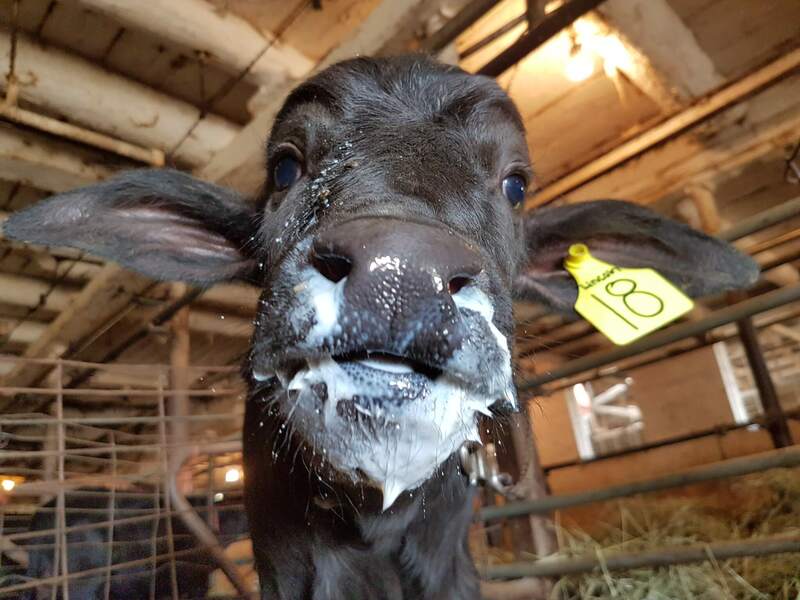 What was once a milked Ayrshire dairy farm, transitioned to milking Italian-bred water buffalo. At first 39 heifers and one bull. Now the herd is made of over 300 buffalo. With the same Italian genetics and some new Bulgarian genetic mixed in too. The couple has shared many farm memories since childhood. Martin, recalling trips to the beach from a hard days work. And Lori bouncing around her Uncle’s farm in the haymow. Starting this new farming dream did not come without risks and they jointly put in the research needed, travelling to other farms that milk water buffalo. 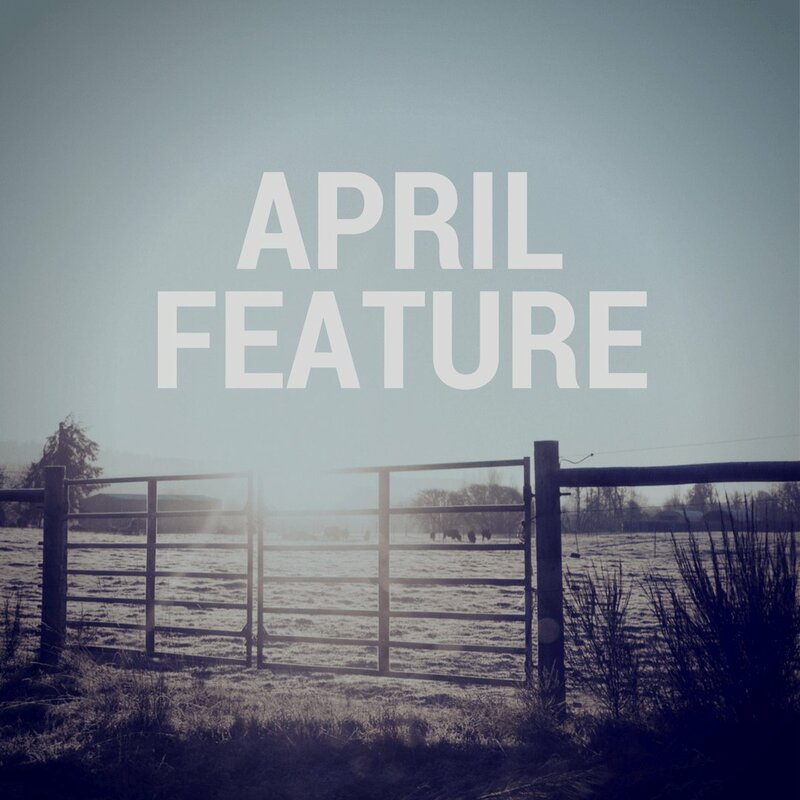 Their farm research involved many decisions, conversations and trips. What was water buffalo farming all about? They visited BC, Italy, Vermont and continue to connect globally with other farmers. 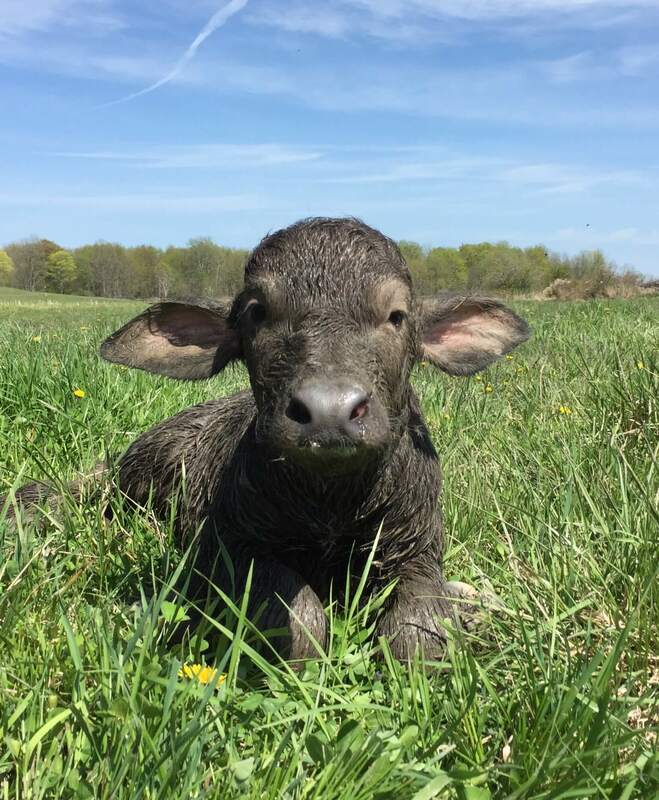 “The opportunities that have opened up in the buffalo industry, like travelling to other countries to meet other buffalo farmers and learn about their cultures. Making new friends throughout the buffalo industry,” bring them much happiness and excitement for the future. 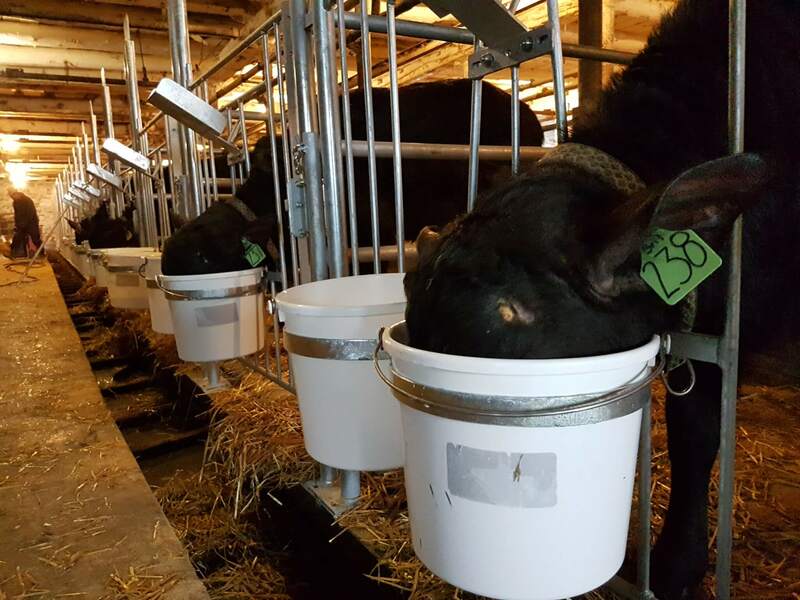 “Grober took us seriously right from the first calf being born and sent us a small order to get started,” recalls the couple. Just like with any dream, partnerships are important. With Lori and Martin, this partnership came in the form of a processor willing to accept a milk that was different from regular cow’s milk. Buffalo milk is very rich and has a fat content between 8 to 10%. Quality Cheese in Vaughan, Ontario uses that high fat milk to craft excellent cheeses. The cheese has been so widely accepted that The Buff Stuff Store officially opened in 2014, becoming the first in Ontario. 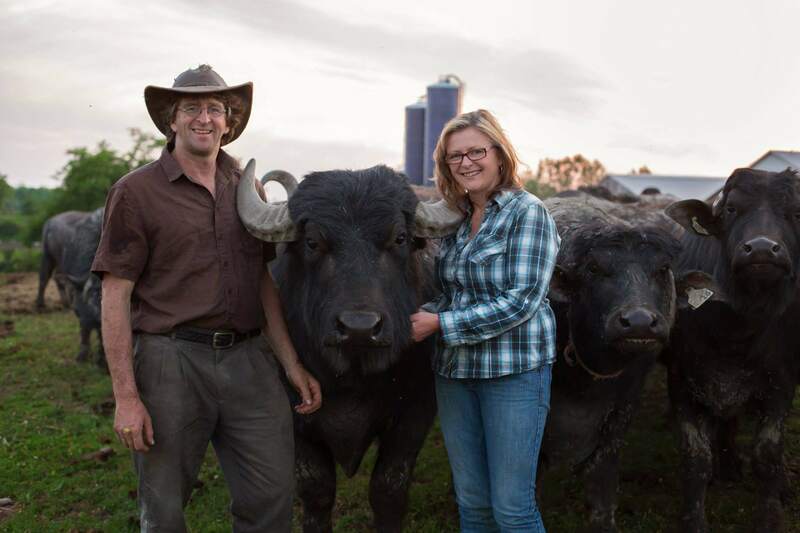 They have shared their buffalo love in the local Stirling community with the only North American Water Buffalo Food Festival. With food, drinks, music and even an appearance by Yvette the infamous water buffalo, attendees flock every year on the third Saturday of September to celebrate. It’s no surprise that the couple subscribe to the motto ‘you sometimes lose by taking risks, but you always lose by holding back.’ Holding back is not their style. It’s easy to say both Lori and Martin are not only brave enough to dream, but to follow and work for their dream. They are all in.